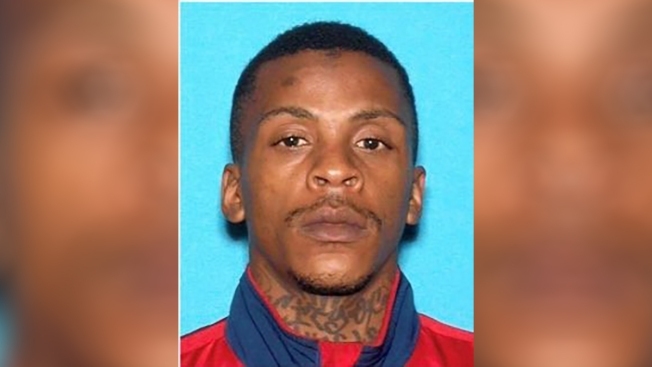 Eric Holder is wanted for Homicide in the shooting of Nipsey Hussle, the LAPD said. 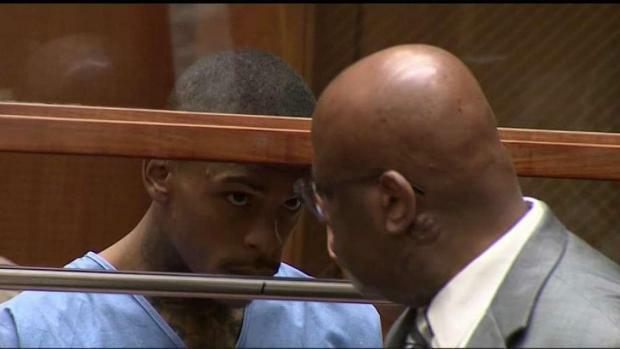 The man charged with killing Nipsey Hussle pleaded not guilty Thursday to murder and attempted murder charges. Eric Holder, 29, was ordered held on $5 million bail during a brief court appearance. His attorney, Christopher Darden, declined comment after the hearing. No additional details about motive were released during Thursday's hearing. The man charged with killing rapper Nipsey Hussle pleaded not guilty to murder and attempted murder charges. Patrick Healy reports for the NBC4 News at 6 p.m. on Thursday, April 4, 2019. Authorities say Holder and Hussle, who knew each other, had several conversations throughout the day Sunday before Holder eventually returned with a handgun and shot Hussle. In 2012 he pleaded no contest to possession of a loaded firearm and was sentenced to six months in jail and three years' probation. The case filed Thursday includes a charge that he was a felon in possession of a gun during the attack on Hussle. Police said he fled the scene in a car driven by a woman who has since been interviewed by police and released, police Lt. Chris Ramirez said. Hussle had success in hip-hop's inner circles for 10 years through his coveted mixtapes, then last year broke big with his major-label debut album, "Victory Lap," which was nominated for a Grammy. "He was a manifestation, from my perspective, of the American dream, even the California dream," said Sen. Holly Mitchell, a Democrat from Los Angeles. "He represents a new generation of entertainer turned activist turned entrepreneur," she said, noting his activism on police brutality and gun violence. "I will be heading to the House Floor next week to formally enter Nipsey Hussle's contributions to South Los Angeles into the Congressional Record where it will be a part of United States history forever," Bass tweeted.